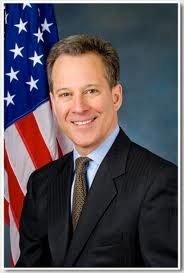 NEW YORK (Legal Newsline) - New York Attorney General Eric Schneiderman announced Wednesday he is suing Wells Fargo to compel the bank to honor its commitments under the 2012 National Mortgage Settlement. Schneiderman also announced an agreement to suspend a similar enforcement action against Bank of America. Under the terms of the agreement, Bank of America agreed to put in place a robust set of systemic reforms to ensure the National Mortgage Settlement's servicing standards are honored throughout the state. If the reforms hold, Schneiderman's office anticipates Bank of America will replicate the initiative throughout the nation. "While we have brought much needed relief to thousands of New Yorkers, too many homeowners in our state are facing unnecessary challenges as they fight to keep their homes," Schneiderman said. "While Bank of America has chosen to work with us to take the steps required to adhere to their commitments, Wells Fargo has taken a different path. Both of these cases should send a strong message that the big banks must comply with the legally binding servicing standards negotiated in the National Mortgage Settlement, or face the consequences." The National Mortgage Settlement includes 304 servicing standards that the participating servicers are required to adhere to. The standards include changes meant to make it easier for homeowners to seek loan modifications. In May, Schneiderman announced his intention to sue Wells Fargo and Bank of America for allegedly engaging in hundreds of violations related to service standards outlined in the National Mortgage Settlement. Schneiderman's office documented the alleged violations through a network of legal service providers and housing counselors funded under the Homeowner Protection Program. Schneiderman's office said it gave Wells Fargo ample time to agree to the same reforms set forth in the Bank of America agreement, but the bank declined to sign any agreement meant to improve its customer service practices.